Prior to the release of Rogue One: A Star Wars Story, reports of a Jyn Erso-centric young adult novel were circulating. We previously learned that the book would be penned by Beth Revis and was slated for release on May 2nd. Now, thanks to our friends at Making Star Wars, we have a brand new batch of information about the book, including some cover art(seen above). “When Jyn Erso was five years old, her mother was murdered and her father taken from her to serve the Empire. But despite the loss of her parents she is not completely alone—Saw Gerrera, a man willing to go to any extremes necessary in order to resist Imperial tyranny, takes her in as his own, and gives her not only a home but all the abilities and resources she needs to become a rebel herself." "Jyn dedicates herself to the cause—and the man. But fighting alongside Saw and his people brings with it danger and the question of just how far Jyn is willing to go as one of Saw’s soldiers. When she faces an unthinkable betrayal that shatters her world, Jyn will have to pull the pieces of herself back together and figure out what she truly believes in…and who she can really trust." 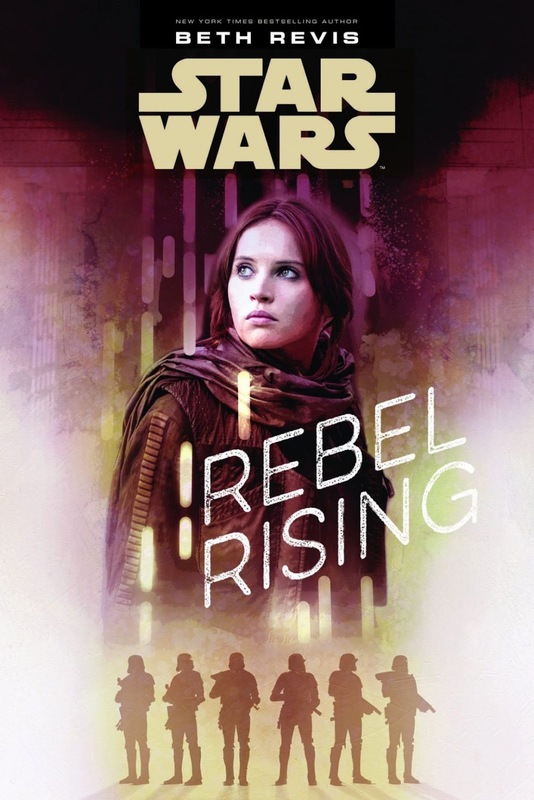 Look for Star Wars: Rebel Rising in bookstores everywhere on May 2nd, or pre-order it now on Amazon! Beth Revis is an Amazing writer.